As teachers, we are very vocal about our love for reading. We are constantly sharing new books with our students, reading aloud, and loving the excitement that reading brings. Outside of school, we read for enjoyment and to grow professionally. We talk with others about what we are reading. Think back, though... were you always in love with reading? For some of us, that answer is a resounding yes! Books and reading were (and still are) our way to learn more about the world, escape to a different place and become "lost" in the moment. For others, the enjoyment of reading may have not come so easily. 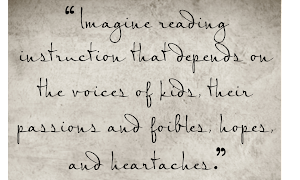 Many readers remember struggling to enjoy reading at school or at home. Finding that perfect book was difficult, and often frustrating. Now think about your students. For some of them, reading is the highlight of their day. They would read all day, all the time, if we let them! These students are truly engaged in reading. Others, however, see reading as a chore or something they "have" to do at school or for homework. How do we get these students more engaged in reading and help them find their "reading identity?" As we go through each type of engagement conference, think about the students who you have had as readers. How would these conferences have changed their thinking about reading? These students aren't really "into" reading. They abandon books frequently, often "fake read" and see reading as something they have to do. The goal here is to help students develop their identities as readers - to help them see themselves as a reader who enjoys certain books, can make decisions on what is a good book for them, and most of all, get them hooked on reading. Serravallo suggests sharing with students your own reading thinking. Show students books you have chosen that you like, ones you ended up not linking, ones you read for specific purposes.... talk about why you chose these books, what you like to read and how you know yourself as a reader. Next, have the students write or talk about books they have read. Why did they choose it? Did they like it? Why or why not? This discussion will help students develop a better sense of who they are as readers. Finally, send students off to use what they discovered about themselves as readers as they choose new books. Think About It: How did you discover yourself as a reader? When did you find your "home run book" (Trelease, 2001) that turned you into a reader? Without a doubt, this is my FAVORITE of the four engagement conferences! What teacher doesn't get excited about sharing new books?! 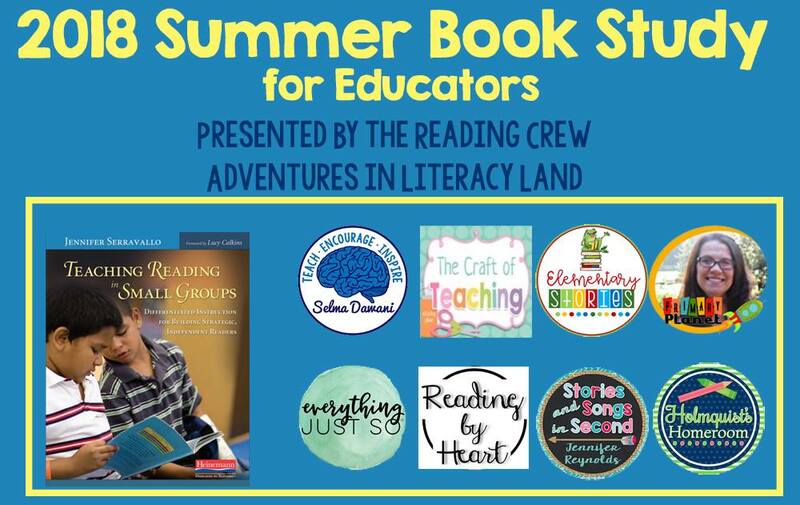 Use this conference to get students hooked on new genres, different series, old favorites or to suggest new authors in a genre they are already reading. Think about how excited we all get when that Scholastic book box comes in! Once you've done some conferences with teacher recommendations, shift the focus to student favorites and let THEM recommend books to each other. - put a sticky note in the book to stop and jot your thoughts when you get there. Put the stickies farther and farther apart. 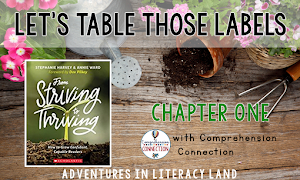 One of the important things Serravallo points out is that in this group, you want to have role models, as well. 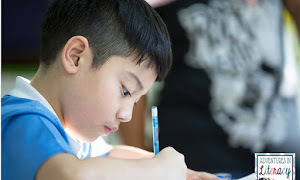 These students can share how they stay focused and what their strategies are. This is the perfect group for students who have difficulty applying what is taught in mini-lessons, or who see their reading identity as WHAT they are reading, not HOW they are reading and thinking. Goals could be short or long term, but should always focus on reading behavior, not content. Think about all the things you've modeled for students during workshop time. Look around the room at the anchor charts you have created. This will help you find ideas for goals. - "I want to learn how to write better sticky notes." - "I want to learn to be able to read aloud in a smoother voice." - "I want help choosing better books." The possibilities are endless!!! And the best part is that students will be more engaged and accountable for their learning because THEY selected the goal. As Serravallo says, "Without engagement, we've got nothing." This is so very true. As teachers, one of our most important jobs is to instill in students a love of reading and to help them see themselves as readers. We need to do everything we can to help students engage with books and develop their reading identity, both in the classroom and outside the school doors. Think about this - How could you use engagement conferences to support the readers in your classroom? Engagement is such an important part of students not only learning to read, but loving to read! This was a great chapter. I never thought to teach engagement in small groups! Great chapter summary! I can't wait to read more!